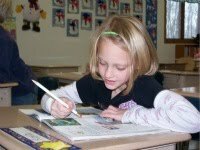 Oshkosh Christian School has a tradition of education focused on the Word of God, which challenges students to grow spiritually, intellectually, emotionally and physically. God has blessed us with a dedicated faculty and staff, each a Christian deeply committed to Biblical based education. Each qualified to teach in his or her field and has a genuine love for students. Accreditation by the Association of Christian Schools International and AdvancED is a reflection of our high standard of excellence and what you desire for your child's education. The mission of Oshkosh Christian School is to pursue educational excellence through Christ-centered programs to produce servant leaders. More and more families are entrusting the education of their children to Oshkosh Christian School. The teachers and staff value their partnership with parents through strong, regular communication and honest, caring relationships. You will meet families just like you, who share your values and place a priority on Christian education. Making an investment in your child through Christian education gives them the foundation needed for a lifetime.